The classic combination of navy and white in home decor is an All American style that creates sophisticated yet inviting living spaces, as shown in the Irvington Living Room staged recently by our team and shown in our post on Staging Transformations for Large and Small Properties. 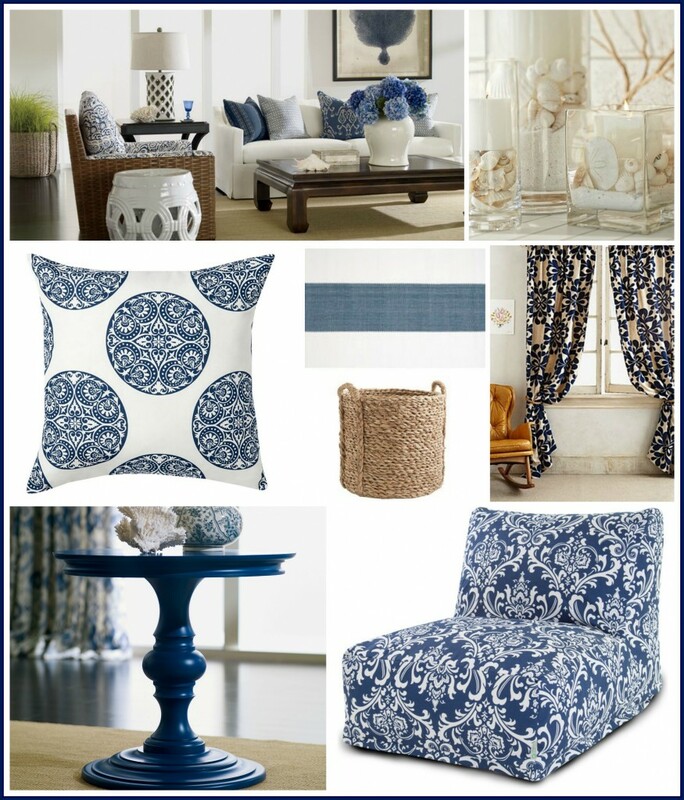 Crisp fabrics in navy and indigo blue paired with whites create a warm yet modern style for both indoor and outdoor spaces. Sandy beige tones and even a touch of crisp green or gold in other textures are great compliments. Bring in a coastal flair with natural textures such as sisal or sea grass or other accents inspired by the sea shore to complete the look.